Sheedy Drayage Co. offers heavy haul and specialized transportation services to all points West of the Rocky Mountains. 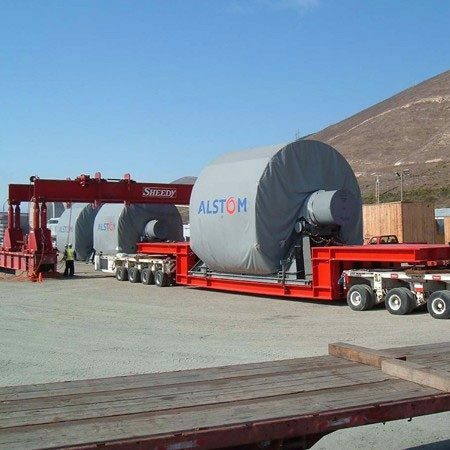 With over 88 years in the drayage business, Sheedy Crane has a proven track record of executing some of the most challenging overweight and over-dimensional cargo hauling projects in the industry. All Sheedy hauling units meet the California Air Resources Board (CARB) emission requirements and all Sheedy drivers are current Transportation Worker Identification Card (TWIC) holders. Safe, reliable and quality haul and specialized transportation services at a competitive rate in the San Francisco Bay Area.